Hollywood, CA (Social Dragon PR) September, 2015. 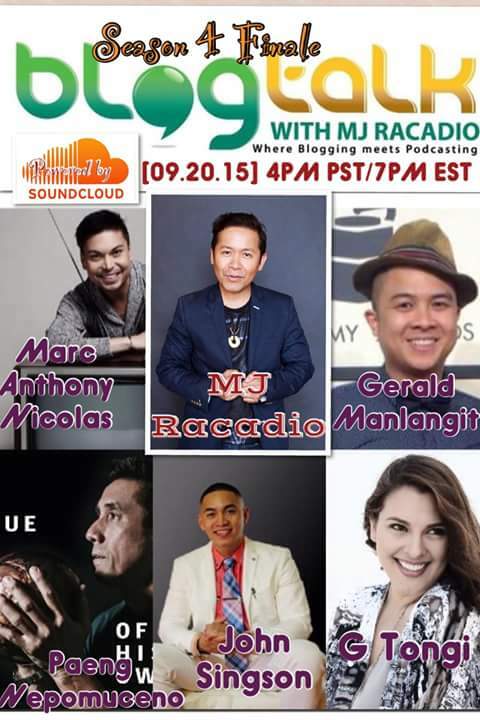 Tune in this Sunday, September 20, 2015 4PM PST / 7PM EST to Blogtalk with MJRacadio on http://soundcloud.com/mjracadio featuring the last episode on season 4 featuring Marc Anthony Nicolas (4th-Time Emmy Nominated Producer of The Talk), Gherald Manlangit (The Insider/ET Producer) Emmy Winning Producer, Paeng Nepomuceno (6th-Time World Champion Bowler, John Singson (Celebrity Realtor) and G Tongi (Host/Producer of Kababayan Today). Let’s meet, Marc Anthony Nicolas. Nicolas is a Daytime Emmy Award Winner for outstanding talk show entertainment. Recently, he received his 4th Emmy Nomination for “The Talk.” Prior, twice he won He won the Daytime Emmy Award for The Tyra Banks Show – Outstanding Informative Talk Show. In addition, he is the host and executive producer of On Your Marc. All in all, Marc Anthony Nicolas is great at producing talk shows. 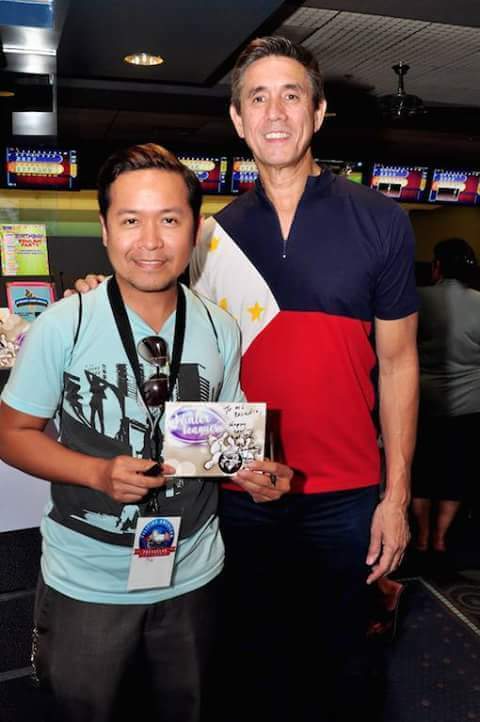 with Gherald Manlangit (Emmy Winning Producer of ET/The Insider). Secondly, meet Gerald Manlangit. 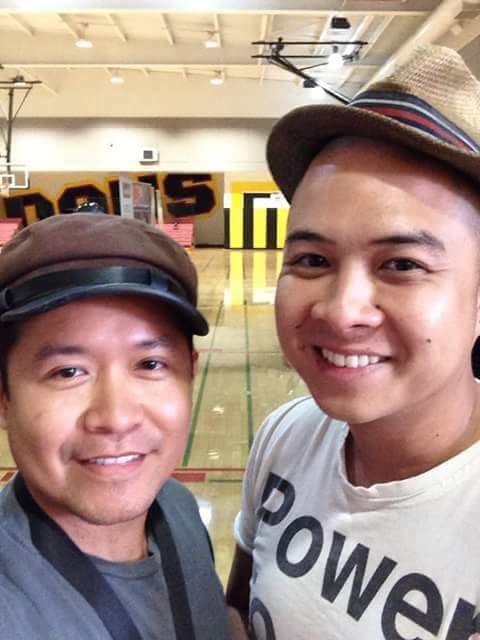 Manlangit is a Production Manager / Field Producer for “Entertainment Tonight” and “The Insider.” He started out as an intern for CBS Corporation. Then, he moved his way up to Production Assistant. Finally, he is the Production Manager ‘ Field Producer. Before making his way to CBS, he used to intern for the GMA Network. Overall, Gerald Manlangit shows that persistence pays off. Thirdly, meet Paeng Nepomuceno. He is a six-time World Bowling Champion. In addition, he won the World Cup of Bowling four times (1976, 1980, 1992, & 1996), earning a Guinness Book World Record for most World Cup Wins in three different decades and the youngest bowler to win. Later, in 1984, he also won the World’s Invitational Tournament, and in 1999 he won the World Tenpin Master’s championship. In conclusion, Paeng Nepomuceno is the bowling master. Ultimately, the Prestigious Bowlers Journal International in 2003 named Paeng Nepomunceno as the Greatest International Bowler of All Time. Next, meet John Singson. Before enjoying his American Dream, he grew up with powerful and wealthy family in the Philippines. John relocated in the U.S. to obtain a higher education and search for independence. According to John ” I love it here because I can go to the beach, malls without the people looking and I really felt my independence.” He is a Realtor for celebrities and the general public with Coldwell Banker. He is very passionate about real estate. Apart from real estate, his writing a motivational book for investments. 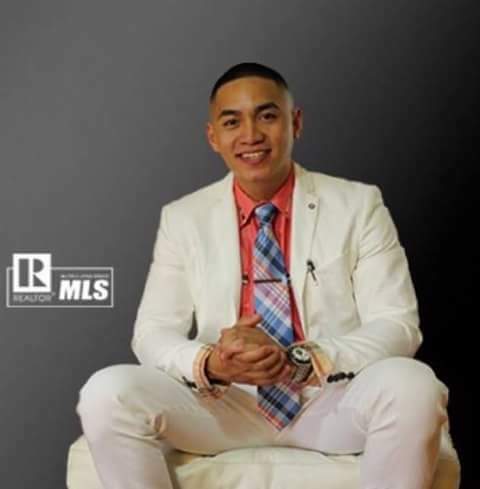 To conclude, John Signson is real estate agent you want to talk to when you are ready to buy or sell a house. 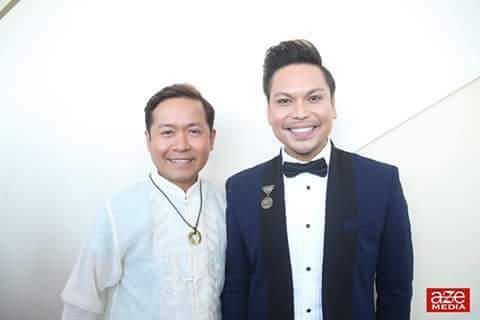 with G Tongi (Host/Producer of Kababayan Today). Finally, let’s meet Giselle Anne “G” Toengi. Toengi is a Filipino-American Actress, Model, Dancer, Singer, Host, and VJ. Currently, she is the host and producer of Kababayan Today on KSCI (LA18) since 2014. Before this, she was an actress and a host for several different shows for ABS-CBN and the GMA Network. 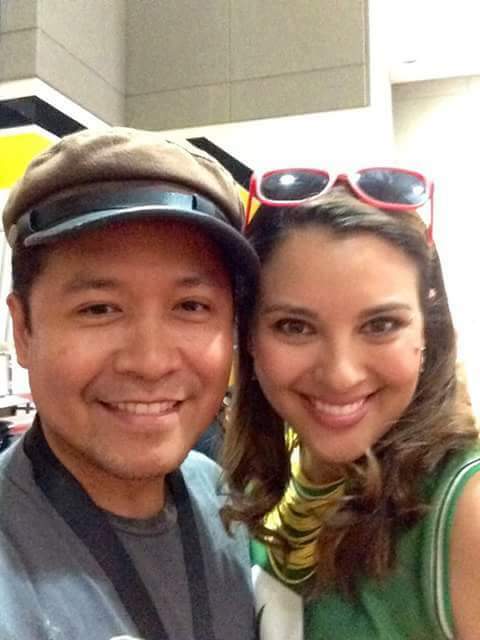 In addition, she was a VJ for MTV Asia. Furthermore, she released one studio album called “Very G”. To sum up, Giselle Anne :G” Toengi is multi-talented in the entertainment world.